Captivate the room with an exquisite square-set zirconia and zirconia encrusted band with a Timeless Elegance PANDORA silver ring. Buy online or in store. 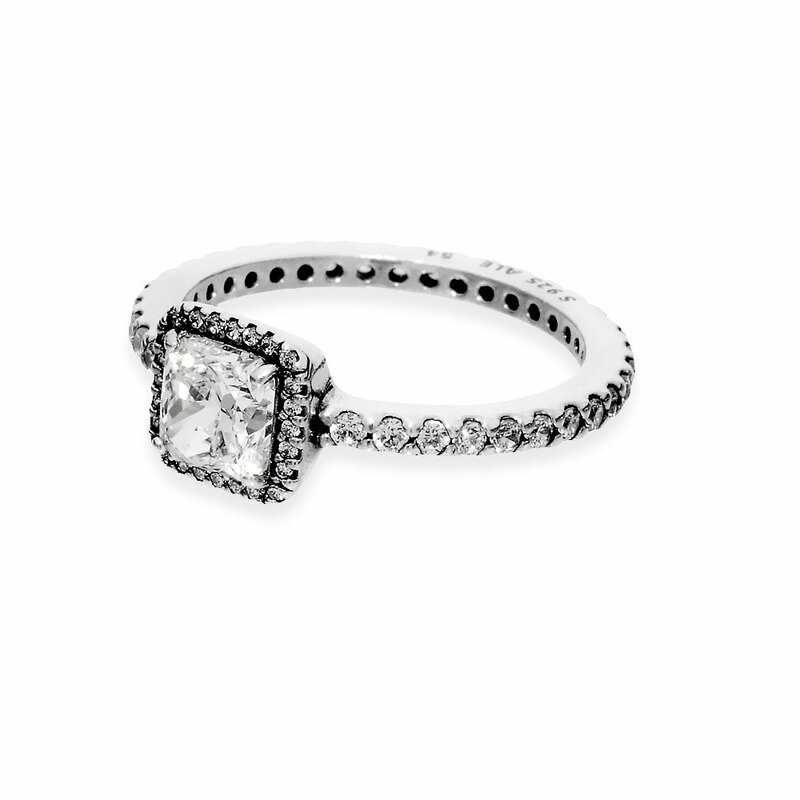 Timeless Elegance PANDORA Ring is rated 4.7 out of 5 by 289. Rated 5 out of 5 by XYGarza from Beautiful ring My husband bought me this ring about a year ago as my engagement ring and I have to say it's my favorite it's so beautiful it's shines so much. now that we're married we wear wedding bands but I'm trying to convince him to buy me the small band to match my beautiful ring. It doesn't matter if a ring is $5,000 or $75 it's the love and connection we have for one another. Rated 5 out of 5 by Olgameli from Stays beautiful for years! My boyfriend bought this ring for me about 3 years ago now as a promise ring and it has stayed beautiful and new for all this time. I wear it all day everyday and it's still just as radiant as day 1! Rated 5 out of 5 by Adri327 from Amazing Looks waaayy more expensive then what it really is. Its really pretty and shiny! Rated 5 out of 5 by Sheisleanna from Beautiful and SHINES! My engagement ring turned out to be exactly what I wished for.. it glitters, shines and looks so beautiful on my hand! I'm in love. Rated 5 out of 5 by Koolkat543 from So Sparkly When I tried it on, I fell in love. It glittered so much. I don't wanna take it off. Rated 5 out of 5 by Daniellebrittany80 from Omg!! So my boyfriend bought me the Timeless Elegance ring and it’s the most precious thing ever! I’m so in love with it. Rated 5 out of 5 by xoxojackie from Most beautiful ring I have ever owned! One year later, and I am just as impressed with this ring! The cubic zirconia sparkles like I have never experienced. For the price, you really can't beat it! It's eye catching, and I'm always getting compliments on it. I'm rough on my jewelry, which is why I opt for cheaper items. I shower with this on, do dishes, everything. I never take it off, and it still has held up remarkably! Rated 5 out of 5 by Rhianalyn from Gorgeous. I use this one and the Pandora Crossing Paths ring as my wedding set and I get complemented on them all the time.